A 2,000-year old statue badly damaged by DAESH in Palmyra went on display on Sunday in Damascus after being restored. 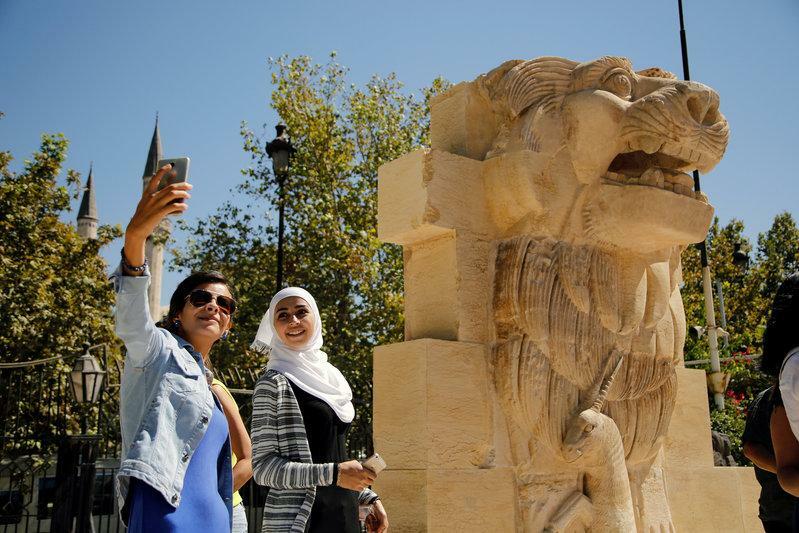 The Lion of Al-Lat statue was one of several ancient monuments damaged by DAESH at Palmyra, the ancient city in central Syria which the jihadists have twice seized from government control during the six-year-long war. The 15-tonne statue was damaged by DAESH in 2015 during its first spell in control of Palmyra. It was moved to Damascus for restoration when Syrian government forces recovered the city with Russian military support in March, 2016. “It is an exceptional statue, there are no more such statues in Palmyra,” said Bartosz Markowski, the Polish archaeologist who spent around two months restoring it. Around half the restored statue was original, he said. 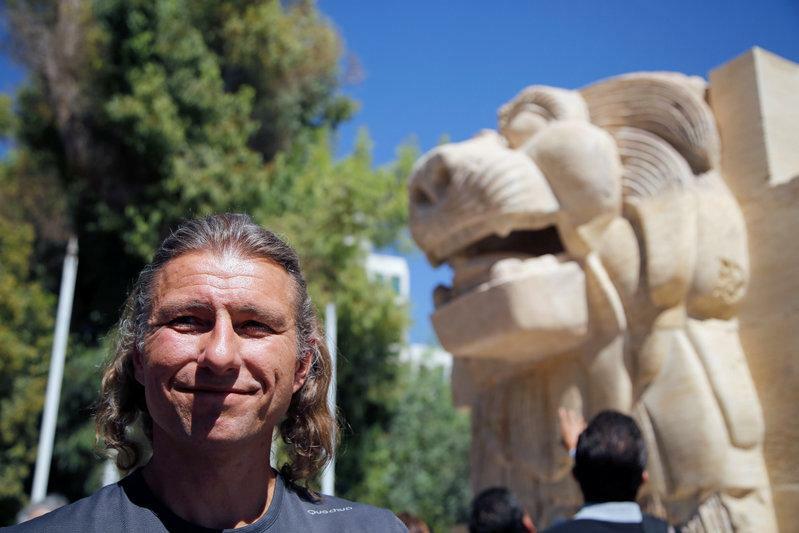 “It was an internationally known symbol of Palmyra, it was standing in front of the museum. Every tourist visiting Palmyra and the museum had a photo with it,” he said. The restoration was funded by the U.N. cultural agency UNESCO. The statue, which is 345 centimeters (11 feet) high, was discovered at the temple of Al-Lat in Palmyra in 1977 by Polish archaeologists. 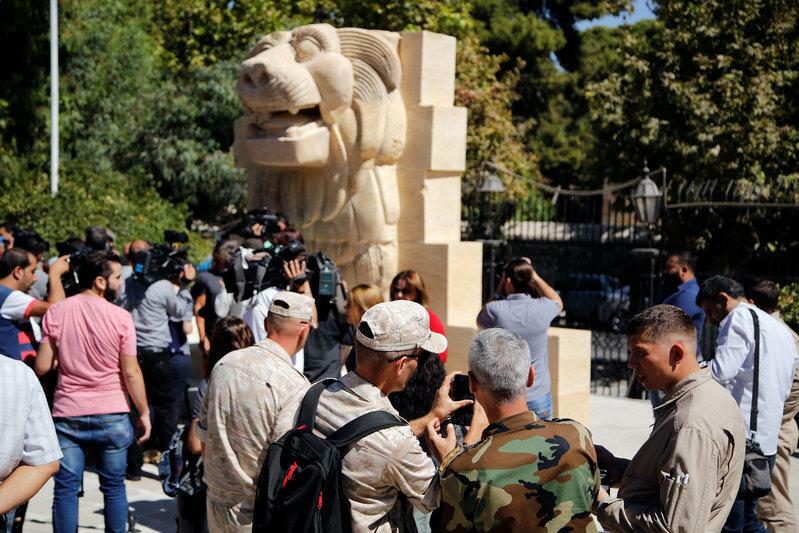 The statue will be on display at the National Museum of Damascus for the foreseeable future but may eventually be returned to its place in Palmyra, Mahmoud Hammoud, the director of Syrian antiquities, said. DAESH also destroyed Palmyra’s famous Triumphal Arch during its first spell in control of the city. DAESH overran Palmyra for a second time in December, 2016. It destroyed parts of the Tetrapylon, a monument marking a bend in the ancient colonnade, and the facade of the second-century Roman Theater before it was driven from the city in March this year.